Gecko’s offers Fiji resort accommodation set on a four and a half acre historic village site on the beautiful Coral Coast of Fiji. Ten minutes to Sigatoka and 40 minutes, via the Queens Highway, from Nadi. 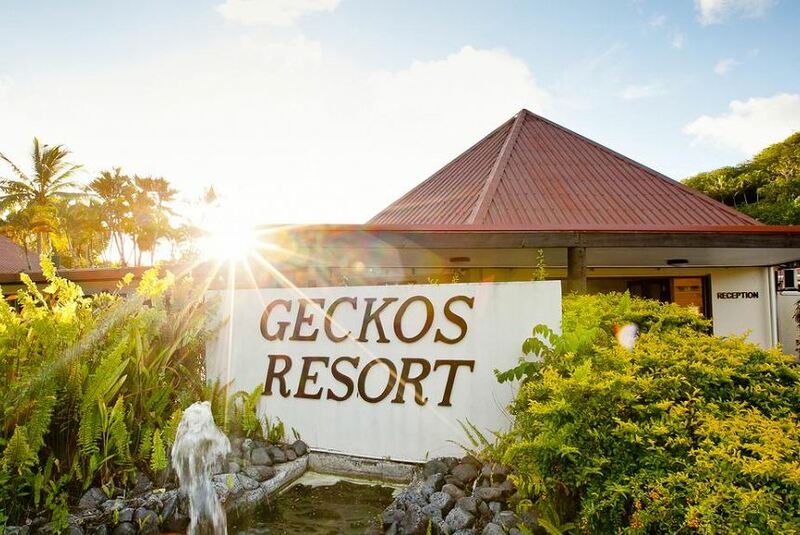 Gecko’s is close to many of the popular resorts on the Coral Coast and is only 500 meters from the Shangri-la Fijian. You can relax in one of the many quiet spaces that Gecko’s Resort four and a half acres allows for and with only 28 rooms it is easy to be “far from the maddening crowd” and that is what a holiday in Fiji at Gecko’s Resort is all about. Enjoy a relaxing massage, a cocktail by the pool or play pentanque, all without the queues. For something a little more adventurous, there’s Volleyball, Horse Trekking, or how about a bike ride to one of the villages? Take a look at our resort facilities for more ideas. In the evening the “pace” picks up. Gecko’s Restaurant is well known on the Coral Coast for its great food and Polynesian Dance and Fire Shows.